Lounge in style when you add this three cushion sofa to your living room. 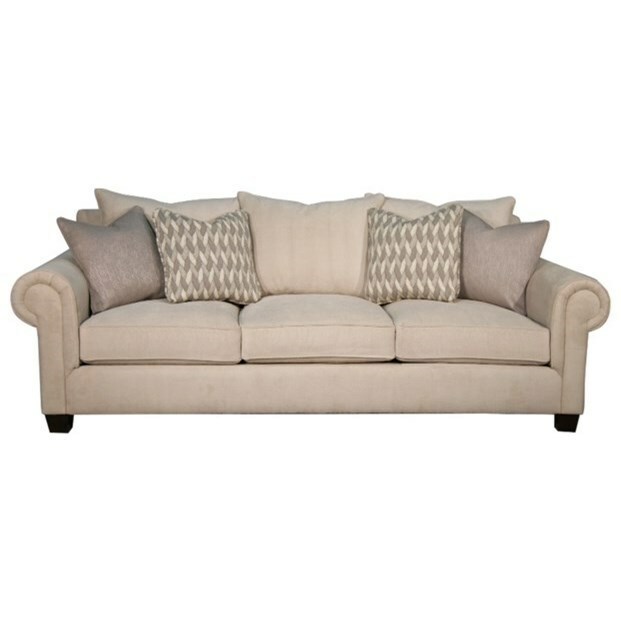 Rolled panel arms give this sofa traditional appeal and softens its look. Feather blend seat cushions are soft and provide plenty of comfort for when you are relaxing at home. The Addison Traditional Sofa with Rolled Panel Arms by Fairmont Designs at Royal Furniture in the Memphis, Nashville, Jackson, Birmingham area. Product availability may vary. Contact us for the most current availability on this product.